During the development of our iPad recording and uploading app, we needed a way to mount the iPad on a tripod. We found one. 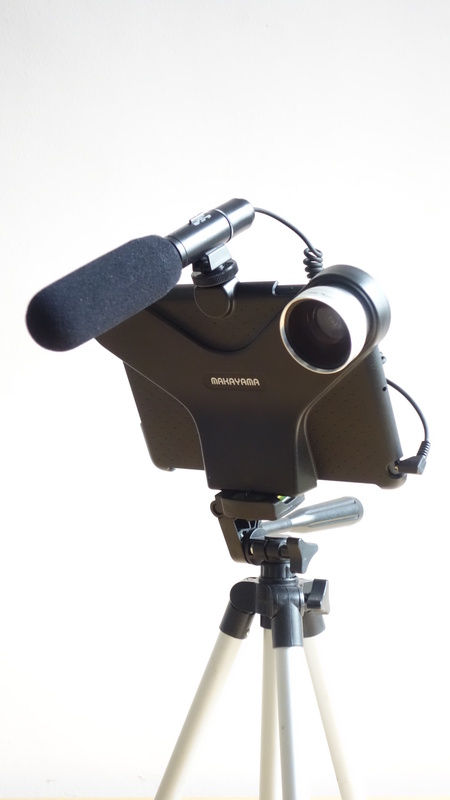 With the possibility to use an external microphone and, even more important for recording in small rooms: a wide angle lens. You can use any tripod, the mount uses a standard tripod screw.